Last minute shopping in downtown Greensboro? Stop by Elements Gallery at 526 South Elm St. Todd is proud to be part of this growing co-op of local artists exhibiting a wide range of art in different media. Paintings, sculpture, pottery, glass art, wood turning, fiber art and mixed media is for sale. You’re sure to find something beautiful for everyone on your list. Last weekend for Deck the Halls! It’s the last weekend for the Sawtooth Deck the Halls! 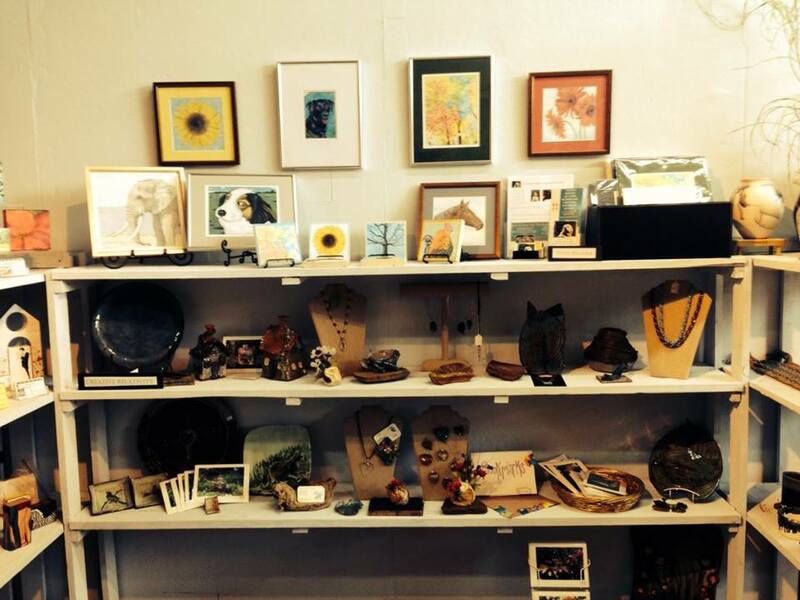 The perfect place to pick up wonderful hand made one of kind pieces of art for everyone on your list. Stocking stuffers! 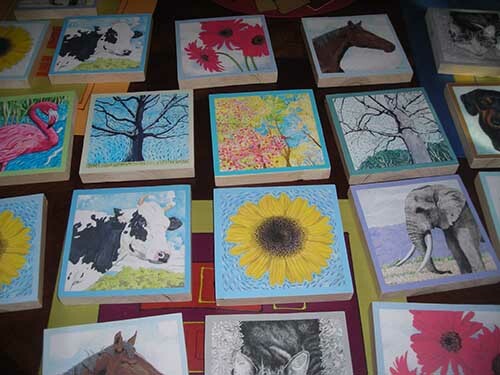 10″x10″ art blocks by Todd -Horses, cows, roosters, kitty’s, flowers and trees. Each block comes with a stand or is ready to hang. Only $10.00 for local pickup. 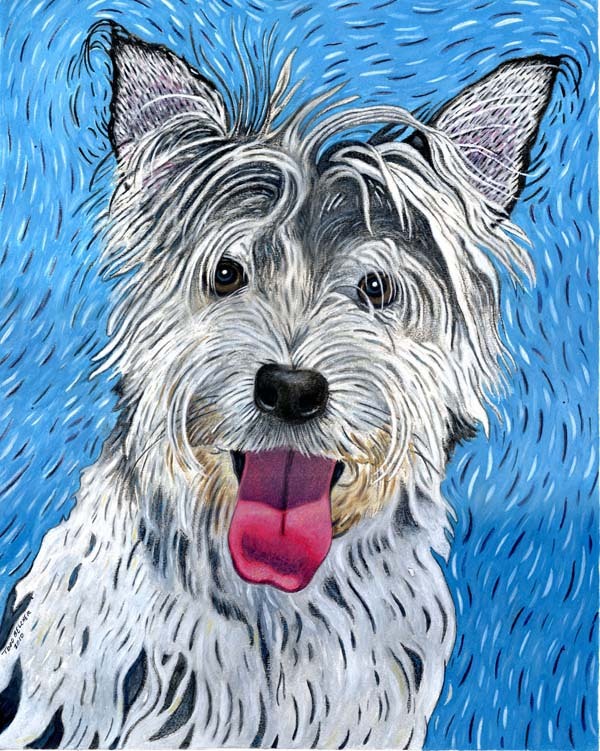 Why is a Jimmydog Custom Pet Portrait Gift Certificate the perfect gift? It is a perfect fit! Guaranteed! Easy to buy and sure to please the pet lovers on your gift list. We can take care of everything for you on the phone – call us at 336-201-7475 today to ensure Christmas delivery. Do you know that we have an online shop featuring all kinds of great gifts for pet lovers. We have cards, t-shirts, mugs and more. And don’t forget there’s still time to give your loved one the gift of a custom portrait with a gift certificate or sketch option. Thank you Unchain Winston for the lovely surprise of being honored for your December build. We are proud to support all the great work you do for our dogs in our community. Thinking it’s too late to give your loved ones the gift of a pet portrait? A gift certificate is the perfect thing. Your loved ones can work with Todd directly ensuring their portrait is done exactly to their specifications. It’s easy, can all be done over the phone and your certificate will be emailed to you immediately. Call us at 336-201-7475 to order yours and cross one more gift off your list. It’s time to Deck the Halls! The Sawtooth Center’s annual holiday gift show opens today. Come out to shop for beautiful, hand-crafted, one of a kind gifts made by Todd and many other local artists. Today through Dec. 22.